From the New York Times bestselling author of The Wonderful Things You Will Be, meet Emily Winfield Martin's little forest family and the adventures they have on one very big day. Who is only under 5 inches tall and has just moved to the woods? The cutest and littlest bear family you have ever seen--and their adopted teeny tiny fox tot! What happens when they venture out to explore their new world...? 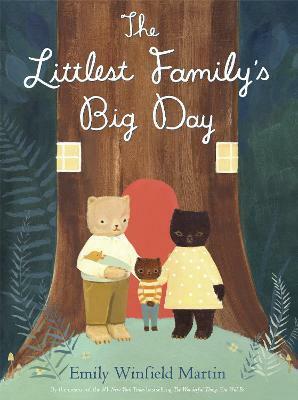 With an easy-to-read story and the careful brushstrokes of Emily Winfield Martin's illustrations, The Littlest Family's Big Day captures the mystery and magic of the woods. Inspired by classic children's books such as The Littlest Fur Family and Dream Animals, this is a radiant treasure to be cherished for generations.